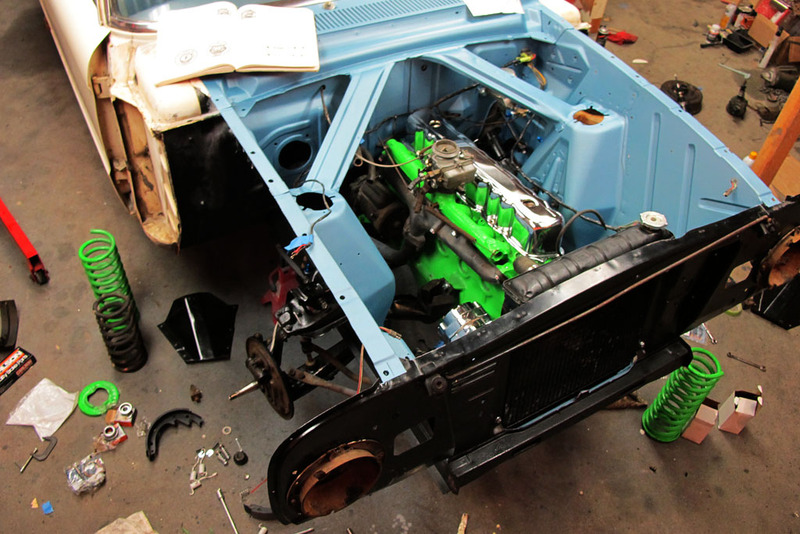 Home » How-To & Tech » 1960 Ford Falcon: 12 Hours to Go! There’s only 12 hours left of this 10-day dash to get my 1960 Falcon ready for Mooneyes. The picture above shows where things are right now. A couple of obstacles have been ironed-out today – the distributor (which was a different size for the 144 and the 170) and brakes (whose new fittings we got weren’t going to work quite right). Barring some other strange and uncorrectable obstacle, I don’t see any reason why we won’t get done… even though it may take staying up all night for! Next time you hear from me it’ll either be at the show or not, do you think we can make it?!? Great build. Should be an insperation to all of us. Love the old Fords.